quantity: 400 sets asst styles asking: $7.00 wholesale: $14.00 style no. 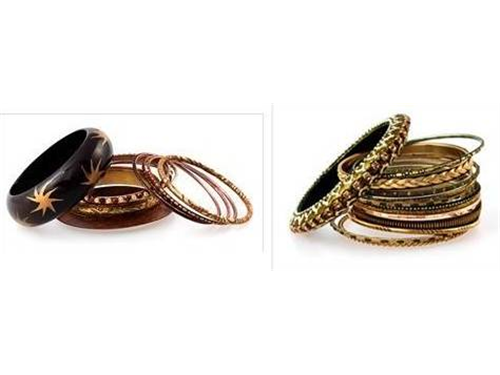 : 308707/607 description: Arm Candy Set of 15 Assorted Bangles. Available in Brown (200 sets) or Green (200 sets). Brown set made of decorated wood, metal and accented with crystal. Green set made of metal, some accented with crystals. Fits small to medium wrists. Each set packaged in clear plastic bag. Faux velvet jewelry bags available for packaging.